At Aqua Pool & Patio we pride ourselves on designing, installing, and servicing the highest quality pools, spas, and poolscapes in the Connecticut region. With over 43 years of continuous experience, our dedication to constructing pools and spas that are made to last a lifetime means that we take care to partner with the best in the business. All of our Pool Service Technicians are APSP trained and our senior technicians are licensed with the State of Connecticut Department of Consumer Protection. By complying with the laws* of the State of Connecticut and with the CT chapter of the Association of Pool & Spa Professionals (Conn Spa & APSP), our customers can rest assured that Aqua Pool & Patio provides the best service in the industry. The importance of these certifications may seem like obsolete bureaucracy but uncertified technicians can make severe errors causing harm to your pool, family and loves ones. 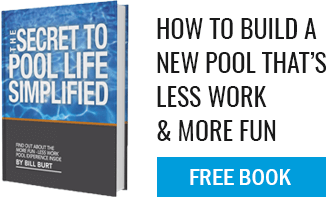 Improper use of chemicals, improper diagnosis of necessary (or unnecessary) repairs, and poor workmanship will cost a pool owner money and, sometimes more importantly, time! Improperly serviced equipment can add expenses to the upkeep of pools causing unnecessary stress, headaches, and worry. At Aqua Pool & Patio, we take care of your loved ones by ensuring professional service each and every time. *Per Public Act 99-174, SB 959: In July 1, 1999, the State of Connecticut Department of Consumer Protection, per began to issue limited swimming pool maintenance and repair contractor and journeyman licenses, with the authorization of the State Plumbing Board. The State of Connecticut, along with the CT chapter of the Association of Pool & Spa Professionals (Conn Spa & APSP), has adopted these regulations to assure you find quality service technicians.